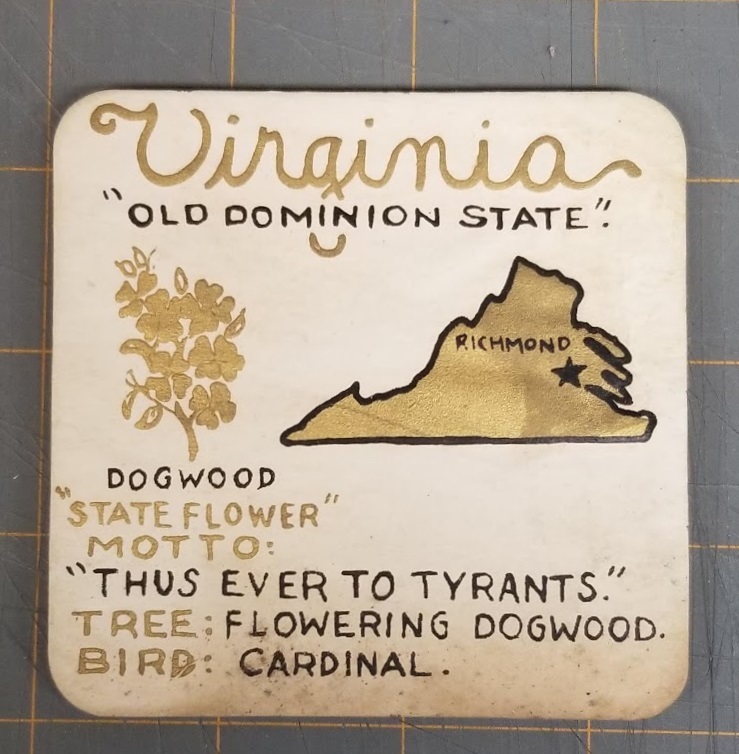 Drink coaster bearing a drawing of the state of Virginia, the logo "Virginia 'Old Dominion State,'" and information about the state. 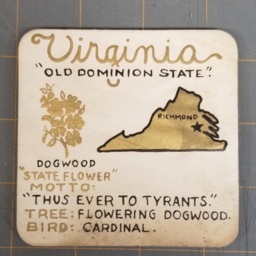 "Virginia Old Dominion State," Coasters undated, R.D. Newland Series, Mary Ann Williamson Collection, Truban Archives, Shenandoah County Library, Edinburg, Virginia. Unknown, “Virginia "Old Dominion State",” Shenandoah County Library Archives, accessed April 25, 2019, http://archives.countylib.org/items/show/12408.